Of ink and identity: The late Samih al-Qasim on the ephemeral nature of the printed word as it encounters the elements. the proud athlete with his first trophy. The small kiosk closes its door. This year, the first rains fell between Rosh Hashanah and Yom Kippur, not waiting for the prayers for precipitation to be recited on Shemini Atzeret, which comes the day after the week-long Sukkot festival (which begins on Wednesday evening). Rain, like blood, air and human rights, doesn’t pertain only to Jews, but rather is universal. In Jonathan Swift’s detailed “Description of a City Shower,” rain is a great leveler (“Triumphant Tories and desponding Whigs / Forget their feuds, and join to save their wigs”) everywhere in the metropolis. 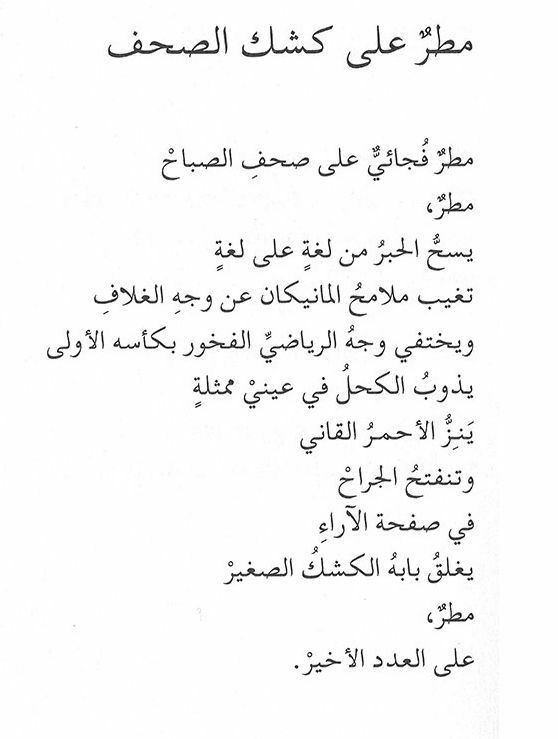 Lines 4 and 5 are the key to this poem: “and the ink flows / from one language into another.” At one level, of course, the languages are Arabic and Hebrew, but at a deeper level the image captures both the lack of fixed borders here and the flux of the poet’s identity. 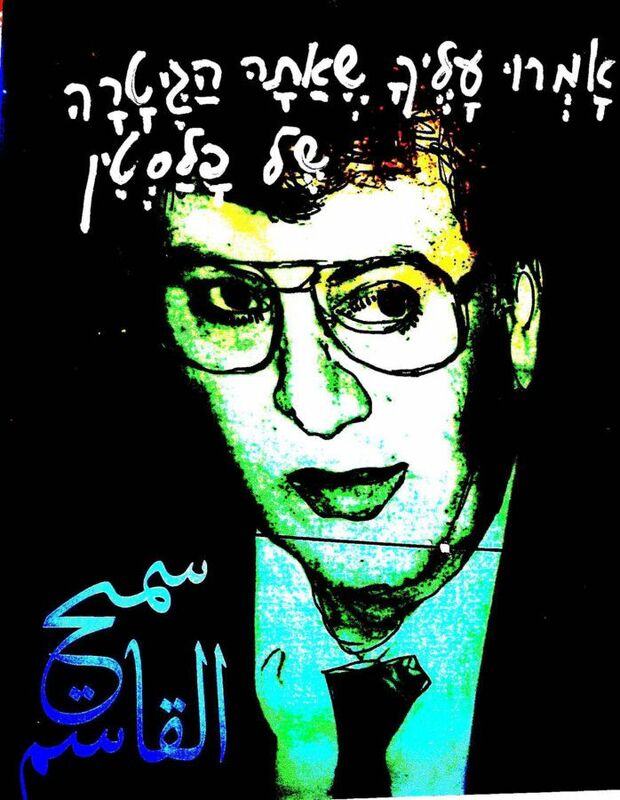 Born in 1939, Qasim died on August 19, 2014, and was buried in his home village of Rameh in the Galilee. His funeral was attended by thousands of mourners, including a large contingent of Druze from the Golan Heights. Writing in Haaretz, Eldad Pardo noted that he was among the most eminent Palestinian poets of his generation in Israel. Indeed, some of his poems became anthems in the Palestinian struggle and were read and sung during the fighting this year in the Gaza Strip. This poem shows that Qasim was also a master of a quieter, more lyrical but nonetheless political mode. *Bonus: Listen to Qasim’s "Wa-ana Amshi: (“As I Walk”) sung by throngs of Tunisians and Lebanese composer and performer Marcel Khalife.